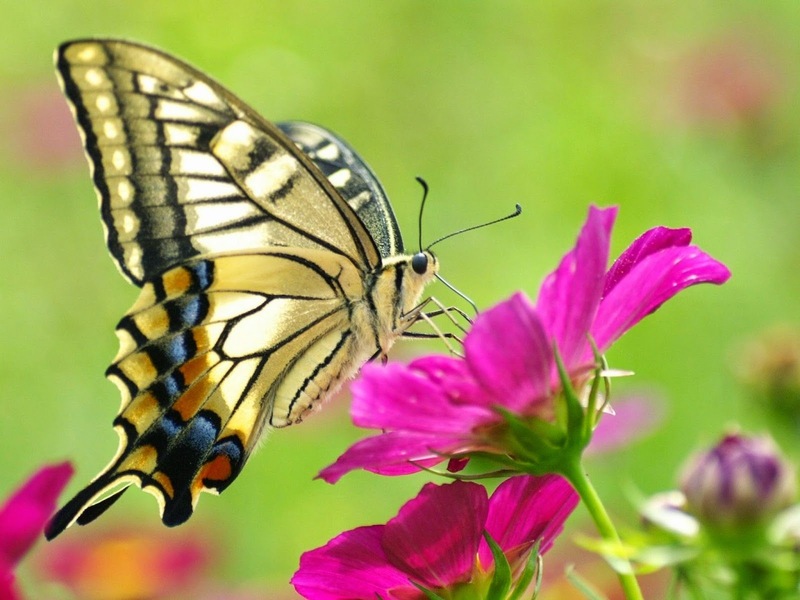 The beauty of butterflies in combination with their finesse, agility in flight and enigmatic presence, have made them some of the favorite pets for animal lovers. 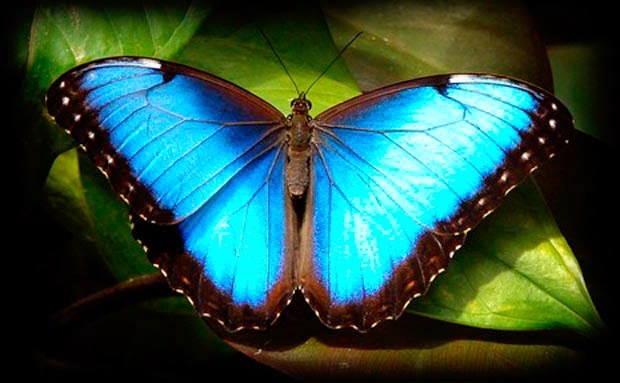 If you are a person who appreciates the beauty of butterflies, if you are identified with the freedom that they represent or with their ability to soar, surely you will like the images that we present below, these are marvelous drawings and photos with these animals. 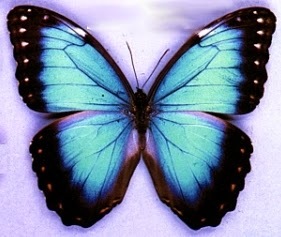 A butterfly with black wings on the edges and turquoise in the center. 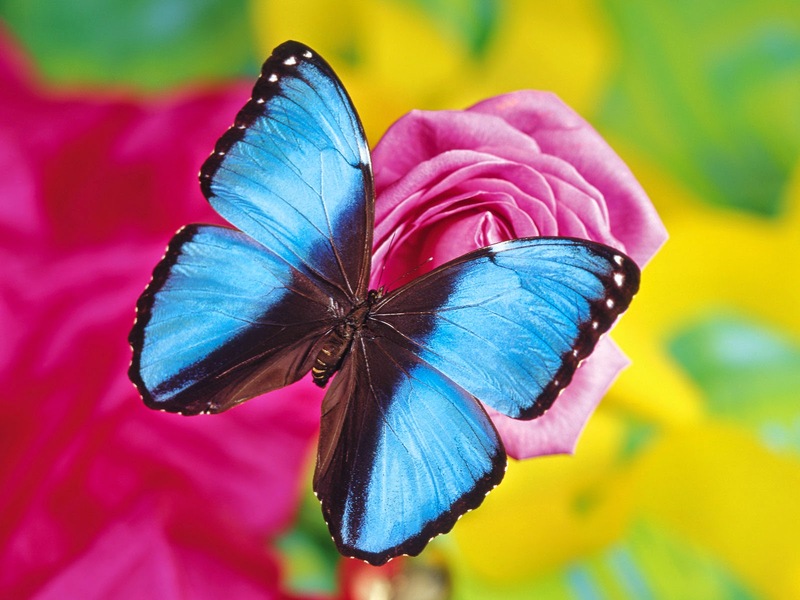 This butterfly is very similar to the last one, it only changes in the central part. A butterfly resting on some lilac flowers. A turquoise butterfly with black borders on green leaves. 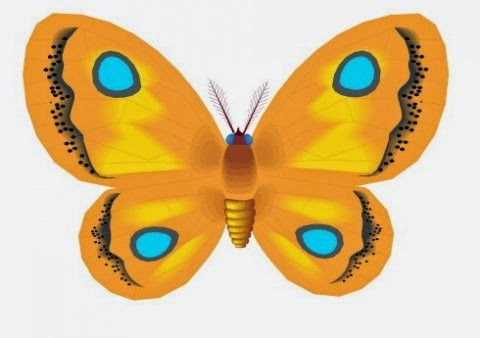 An illustration of a yellow and turquoise butterfly with black lines. 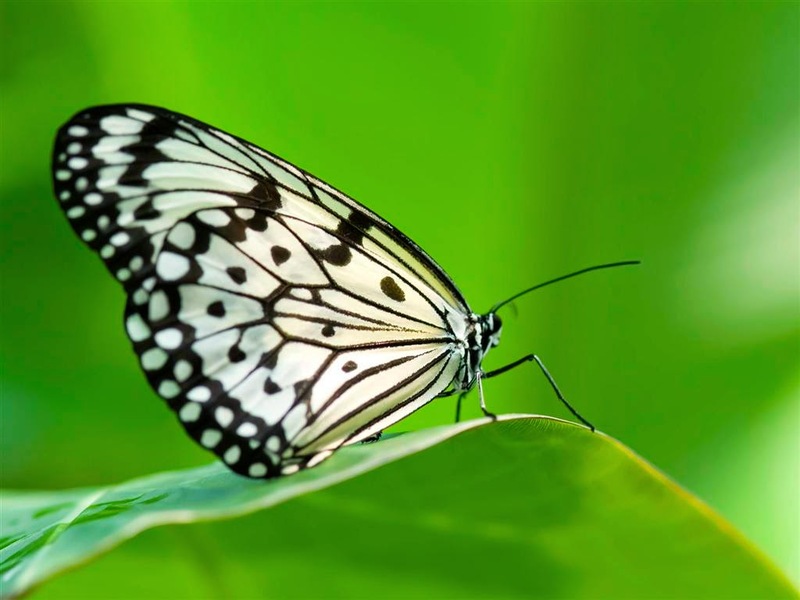 An image of a white and black butterfly on green leaves. 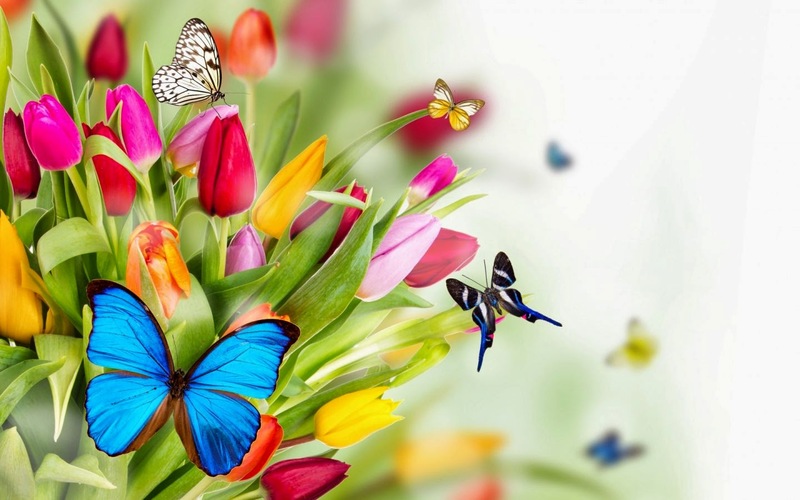 An image of multicolored tulips with butterflies of different colors. 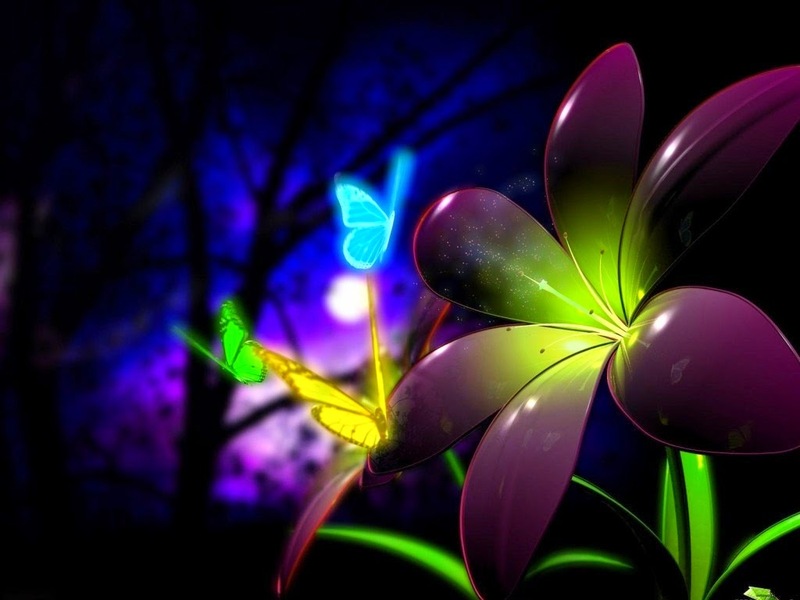 An enigmatic pattern with bright butterflies and a purple flower. 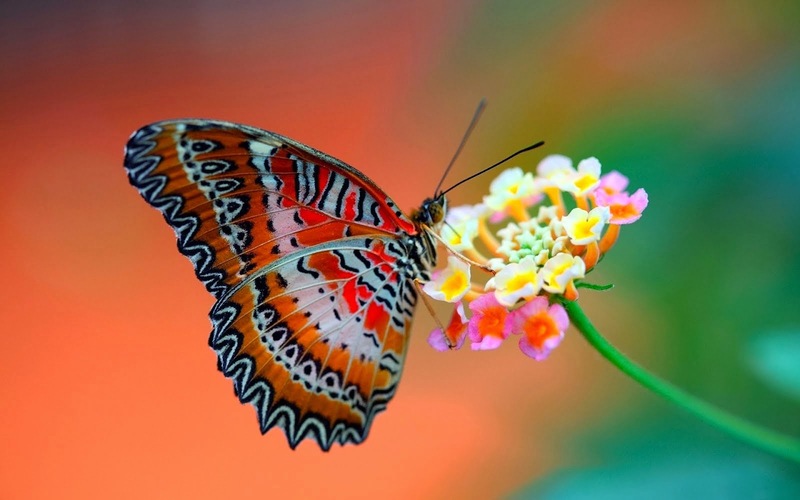 An image of an orange, white and red butterfly, on a delicate pink and yellow flower. 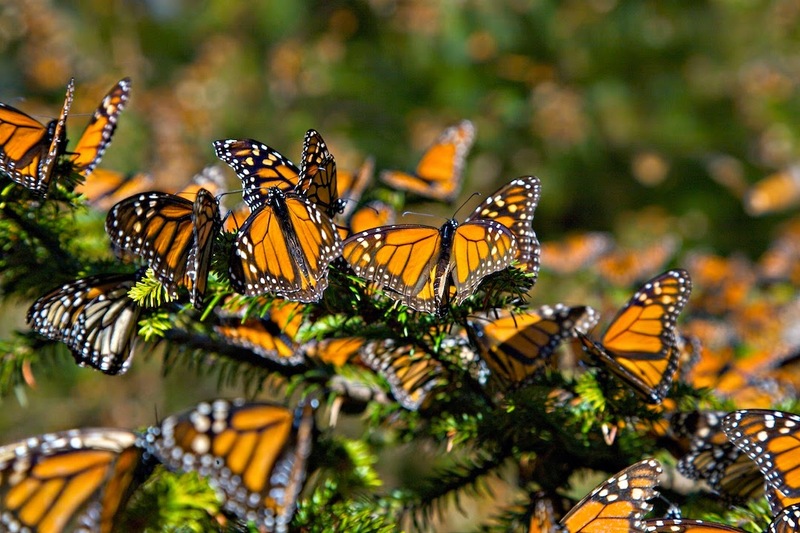 An image with an impressive group of butterflies. 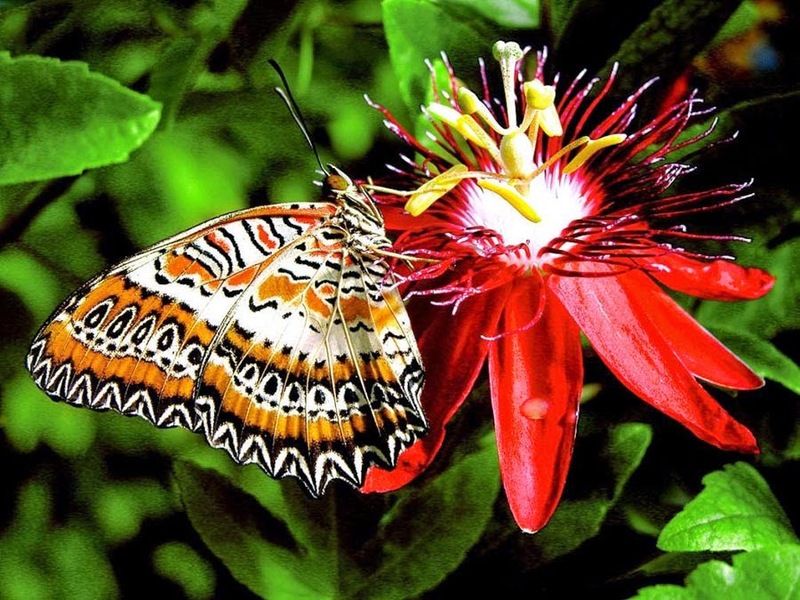 A beautiful image not only by the butterfly but because of the exotic red flower.